Most every family has their holiday traditions such as meals, gift giving, or community service. My family has several traditions such as Christmas Eve dinner at Granny and Paw-Paw's, cutting down a live tree, Christmas breakfast with my dad and grandparents, and reading Luke's account of the Christmas story. All of these traditions are rich and meaningful on multiple levels. Introduce to your family a new but old tradition, the advent calendar and candle. This calendar countdown begins on December 1st and concludes on December 25th. 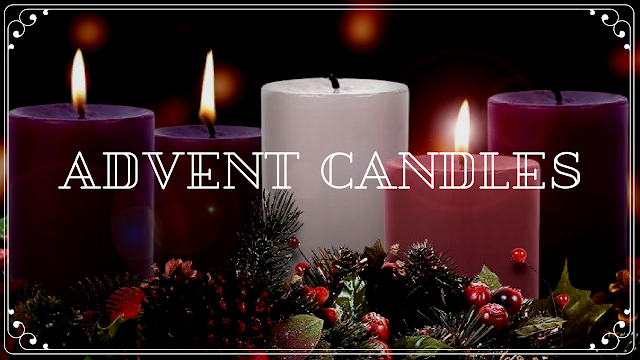 Each day a candle will be lit signifying a specific facet of the Christmas story that we are reading, see description below for more details, followed by a Scripture reading and devotional thought. Each day moves us through a facet of Christ in Christmas. It reinforces that Christmas was not an afterthought but a forethought of glory divine. Christmas was planned before the world was created. This is an opportunity for us to magnify our Lord like a telescope magnifies planets instead of our traditional way like that of a microscope. Let us resolve this holiday season to take our infinite God and like a telescope bring him into focus for our children. And let us cease from treating God as though He is sometimes of ameba that needs our help in being seen. Remember that Genesis 1:1 is not an argument for His existence but His announcement that He does exist (see also Psalm 19 & Romans 1). Each day I will post a verse and a devotional thought for you and your children. I hope that you find it beneficial and spiritually enriching during this holiday season. Use the comment section to share your thoughts. The first candle is the Prophecy Candle. This candle represents hope or expectation in anticipation of the coming Messiah. The second candle, purple, is the Bethlehem Candle. This candle represents love and Christ’s birth. The third candle, pink, is the Shepherd’s Candle, representing joy. The fourth candle, purple, is the Angel’s Candle. This candle represents peace. Finally, on Christmas Eve, the white candle—the Christ candle—is lit. It represents the light of the life of Christ that has come into the world. The white represents Christ’s purity, for although He was tempted in all ways as we are, He is the only one without sin. Christ is the sinless Savior, and, because of His unparalleled love and life, those who trust Him by faith are forgiven for their sins and are made whiter than snow. The Evergreen Wreath representing eternal life.